Editor’s Note: It’s an annual tradition for TLNT to count down the most popular posts of the previous 12 months. We’re reposting each of the top 30 articles through January 2nd. This is No. 25 of the 800 articles posted in 2018. You can find the complete list here. As 2018 draws to a close, employers are looking to the next wave of labor and employment laws and regulations that will take effect in 2019 and beyond. On January 1, and throughout the coming year, employers across the nation must address a host of new or amended federal, state, and/or local obligations. This article summarizes the laws and regulations taking effect in 2019 that will impact most employers, and highlights some anticipated activity in the coming months. The majority of labor and employment bills stalled in the 115th Congress. The most significant federal legislative development in 2018 that impacted employment law was Congress’s omnibus budget bill, the Consolidated Appropriations Act (“the Act”). The Act amended the Fair Labor Standards Act by addressing rules affecting tipped employees and tip ownership. Specifically, the Act expressly prohibits an employer from keeping tips received by its employees for any purposes (this includes allowing managers or supervisors to keep any portion of employees’ tips), regardless of whether the employer takes a tip credit. The Tax Cuts and Jobs Act, which was signed into law on December 22, 2017, impacts certain deductions and reporting provisions for 2018 in 2019. For example, the law eliminated, at least through 2025, the exclusion for employer-paid relocation expenses, the deduction for employer-paid transportation fringe benefits, and the business deduction for entertainment expenses. This tax law also included a provision that eliminates a business expense deduction related to nondisclosure agreements (NDAs) in connection with the settlement of sexual harassment claims. The law amends section 162 of the tax code, which generally allows businesses to deduct certain business expenses, to provide that no business expense deduction will be allowed for: (1) any settlement or payment related to sexual harassment or sexual abuse if such settlement or payment is subject to a nondisclosure agreement, or (2) attorney’s fees related to such a settlement or payment. This exclusion applies to amounts paid or incurred after December 22, 2017, the date the tax bill was enacted. As a practical matter, this new restriction means employers must decide on a case-by-case basis whether any amount paid to settle a sexual harassment claim is significant enough to be worth the tax deduction at the expense of an NDA. Immigration policy and enforcement remains a Trump administration priority. Although no immigration-related bill advanced in 2018, employers will likely continue to see increased U.S. Immigration and Customs Enforcement activity and U.S. Citizenship and Immigration Services (USCIS) policy initiatives in response to White House directives on immigration. Further changes are anticipated from USCIS in 2019. For the most part, federal employment law activity has been confined to the regulatory arena. 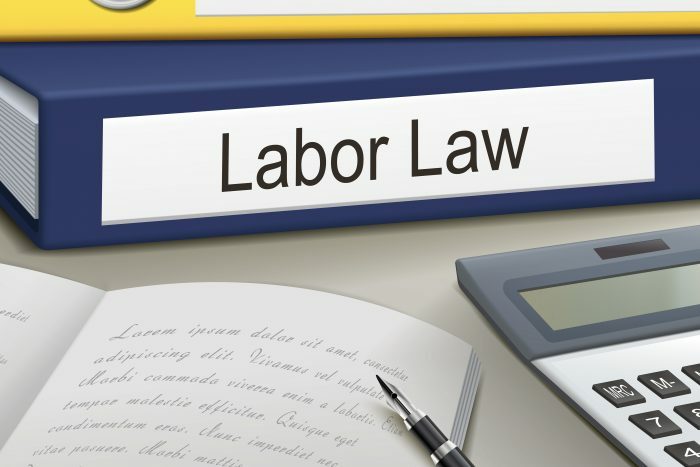 For example, the National Labor Relations Board (NLRB) issued a proposed rule in September that would reverse the NLRB’s 2015 Browning-Ferris Industries decision and clarify the standard for joint employment. The comment period for the proposed rule will close on December 13, 2018; and a final rule is expected sometime in 2019. The DOL’s Wage and Hour Division also may propose its own joint employer rule, a re-vamped “white collar” overtime proposed rule, and a rule clarifying the “regular rate” of pay calculation for purposes of overtime compensation. Some final rules will take effect immediately, while others might afford employers a compliance grace period. While federal legislative developments may have been slow in 2018, state and local lawmakers picked up the slack. As the chart below demonstrates, states and municipalities have adopted new laws and ordinances that will take effect in 2019 on a variety of topics, including protected time off, sexual harassment training, and salary history inquiries. Many new state and local laws enacted in 2018 have already taken effect. The chart below focuses only on those laws with effective dates in 2019 or later. Readers interested in keeping abreast of legislative activity at the state and local levels should follow State of the States, our monthly report featuring notable bills and trends percolating in the statehouses and city halls nationwide. The chart below briefly recaps laws and regulations that will become effective in the few remaining weeks of 2018 and in 2019. Although local and industry-specific laws may be listed, these samples are included primarily to highlight compliance challenges employers face. Further, this chart does not include all state and local minimum wage updates. A complete discussion of minimum wage rate changes for 2019 can be found in a separate Littler Insight to be published later this month. Because the below chart is only a summary and does not include all possibly applicable federal, state, and local laws, employers are encouraged to discuss with knowledgeable counsel the local, state, and/or federal laws that will apply to the employer’s workplace in 2019. Click here to download this chart in Excel. James A. Paretti, Jr. is a shareholder in Littler Mendelson's Washington, D.C. office. Jim is and experienced management-side employment and labor relations attorney with in-depth political and policy knowledge of labor, pension, healthcare and employment law, regulations and legislation. He is well versed in all aspects of legislative and political processes with demonstrated knowledge in the substance of federal labor and employment policy. He has over two decades of experience working with federal legislators and policymakers, including former Speaker of the U.S. House of Representatives, chairs of the U.S. House Committee on Education and the Workforce, and senior level administration officials. Prior to joining Littler, Jim was chief of staff and senior counsel to the acting chair of the Equal Employment Opportunity Commission. He provided legal and political counsel with respect to all aspects of agency business, administered and managed the Office of the Chair where he was responsible for over 2,200 employees and a $375 million annual budget, and served as primary liaison to regulated stakeholders and Capitol Hill. His extensive experience includes developing policy and providing legal counsel on the Committee on Education and Labor in the U.S. House of Representatives as well as coordinating external communications and media relations for a senior member of Congress. Jim represented corporate and nonprofit clients in employment litigation in federal and state court, before administrative agencies and in private arbitration while with two Boston firms. During law school, he held positions as editor as well as note and comment editor for the New York University Law Review. Michael Lotito is a Shareholder in the San Francisco office of the labor law firm Littler Mendelson. He practices all aspects of traditional labor relations, including matters arising under the National Labor Relations Act. Contact him at mlotito@littler.com.